Do you work for a call centre dealing with product support or information enquiries? Or, carry out telemarketing? Or, perhaps, make other types of calls on behalf of a charity or political organisation? Or, if not currently, maybe you’re interested in working within this field? Well-trained call centre staff is at the heart of any operation. For many customers or potential customers, call centre staff are their only contact with an organisation. And, if that contact is positive, courteous, helpful, and professional then that’s of immense benefit to the organisation in terms of reputation, initial and repeat business. Call centre employees who know how to handle the diverse situations they are faced with, with skill and professionalism, are an asset to any organisation. The employee themselves also benefit in terms of good pay and performance bonuses. As a leading UK training provider, Global Edulink understands what it takes to shine in this arena and, as such, have formulated a course aimed at equipping you with the skills and confidence to undertake these responsibilities, such as answering questions proficiently, overcoming objections and ultimately, to excel. In addition, you’ll be taught the importance of corporate social responsibility strategies which encourage companies to make a positive impact on the environment and their stakeholders (which include consumers, employees, communities, investors, and others). You’ll also come to understand: how to develop your professionalism; how customers behave and what they expect; and techniques for more effective communication with customers; all while maintaining a positive attitude. 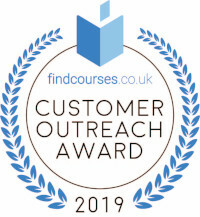 By studying this course you’ll gain practical skills and confidence to improve the value of your sales or customer service team which subsequently contributes to the growth and success of your workplace. Successful candidates will be awarded a certificate in Call Centre Success. 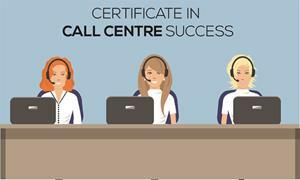 Fill out your details to find out more about Certificate in Call Centre Success.